SB 1147 proposes the Music History Museum be located across from the Bob Bullock Texas State History Museum in Austin. 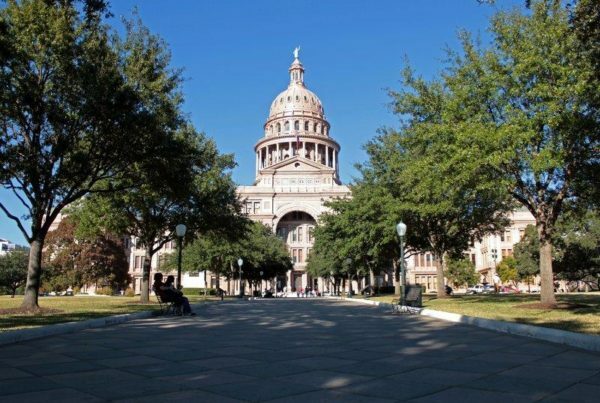 Texas just wouldn’t be Texas without a good intra-city rivalry now and then.Today, it’s Houston versus Austin facing off in the legislature over a proposed Texas Music History Museum. The Senate Business and Commerce committee is set to hear a bill that would designate Austin as its official home. Senate Bill 1147 would allow the State Preservation Board to establish a nonprofit foundation to create and operate the museum. The proposed site is across from the Bullock Texas State History Museum, near the Capitol. But advocates in Houston say their city was tapped for the museum, as well as federal funding, several years ago. And here there’s large hail, there’s hail damage. Where there’s hail damage, there’s often scammers trying to defraud people seeking repairs. Ben Gonzalez is a spokesperson for the Texas Department of Insurance. He says the agency will be sending investigators to the area to prevent fraud. “When you have these areas of concentrated storm damage, we’ll often send investigators to the scene to serve as extra eyes for local authorities local police to look for kind of fly by night scams that will move into the area hit by a storm,” Gonzales says. Gonzales says if you suspect you’ve been a victim of fraud, alert local police and the Texas Department of Insurance. With the repeal of Obamacare out of the picture, Congressional Republicans are setting their sights on reforming the tax code. It’s a top goal of Republican Kevin Brady of the Woodlands, who’s the chair of the House Ways and Means committee. There were two major reasons Republican leaders sought to repeal Obamacare before tackling tax reform. The first was political. They’d been promising repeal for years. The second was financial. Speaking on Fox News, Chairman Brady admitted the failure of the GOP health care bill makes his job harder. But he said he’s determined to push ahead and hopes to pass a tax reform bill out of the Ways and Means Committee later this spring. My Brother-In-Law’s Kidnapping Was Blamed On A Mexican Cartel. Now My Nephew’s Friend Is Missing.